Australia is one of the strictest countries when it comes to smoking and our airports have been hard hit with legislation to prevent people from doing just that. In New South Wales (NSW) it is illegal to smoke within 4 meters of a pedestrian entrance/exit of a public building. Smoking is only permitted at one end of the terminals. 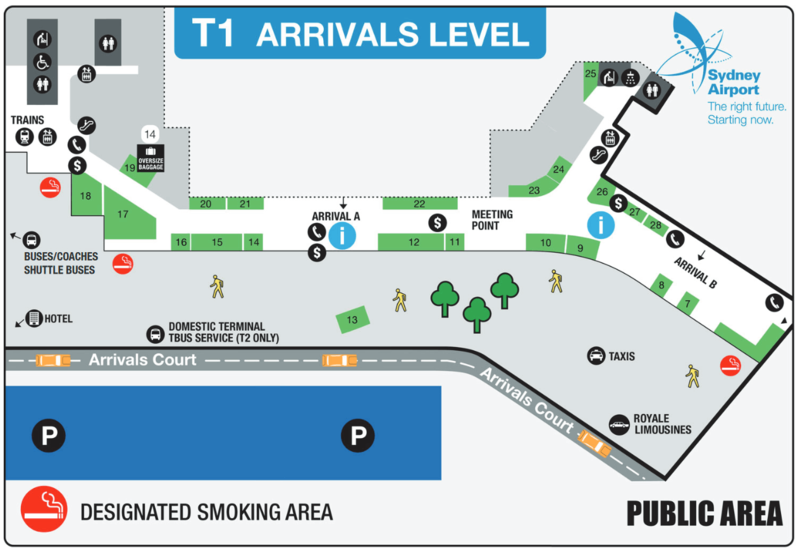 T2: Exit the building and turn right, walk to the end and there is a smoking area with some seats under cover. This is the same on both levels Arrivals and Departures. T3: There is no information available. Look for signs to the smoking area. Arrivals: Exit the building and turn left, follow to the end of the building and there is a smoking area. There is also a large forecourt area which doesn’t specifically say there is no smoking as it is open air. 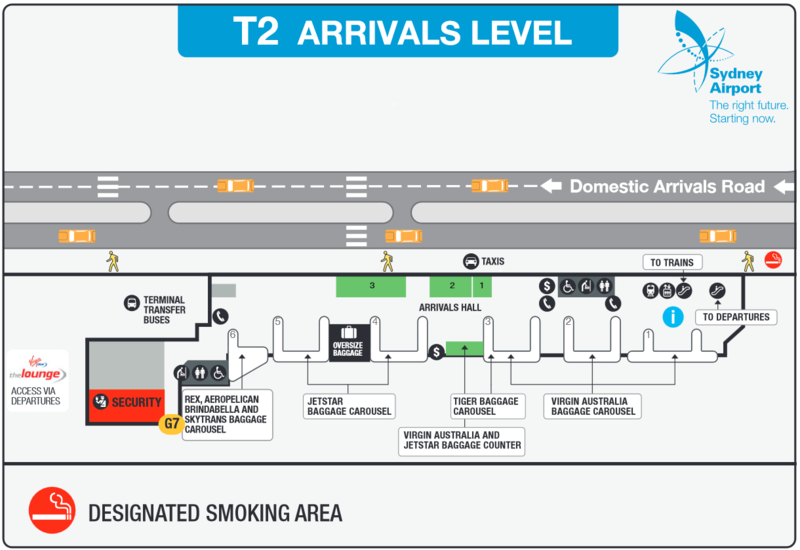 Departures: Exit the building and turn left, follow to the end of the building and there is a smoke area. Departures Terrace: Near check-in area A there are signs to the Terrace Bar. Look for the public toilets, there is a corridor between Male and Female which goes through double doors to a large deck area outside. There are table and chairs here where smoking is permitted. Some of the area is under cover. 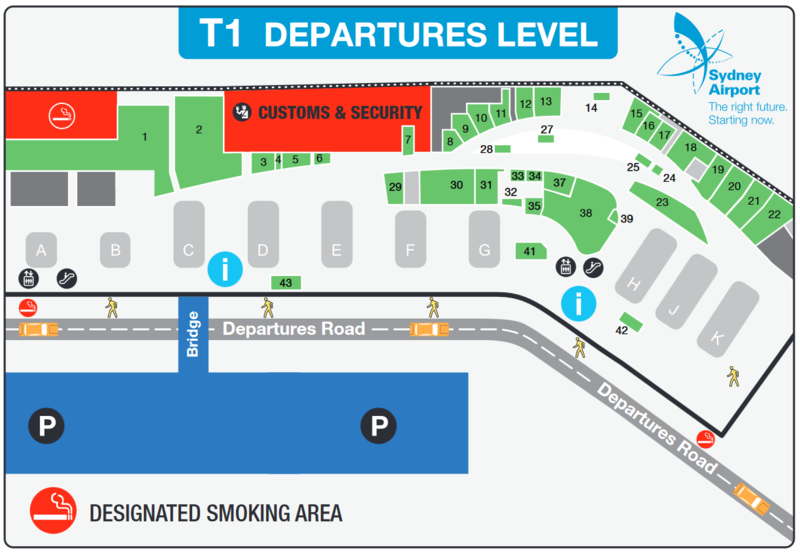 There are NO smoking areas past customs / security in any of the terminal buildings. Once you’ve passed security / customs etc, that’s it! 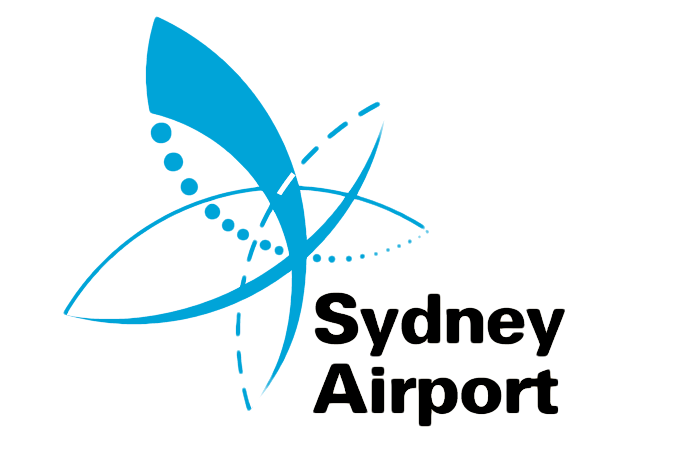 Passengers transiting between flights are unable to light up.